After spending six months travelling, I arrived in Rio feeling confident and independent. I wanted to do a city tour and, convinced that organised day tours were for holidaymakers and first-time travellers, decided to make my own way round the city from Christ the Redeemer to Sugarloaf Mountain. Big mistake. Taxis were pricey, took ages due to the traffic, and I only just made it to Sugarloaf for sunset. My advice is, don’t be afraid to join a city tour. 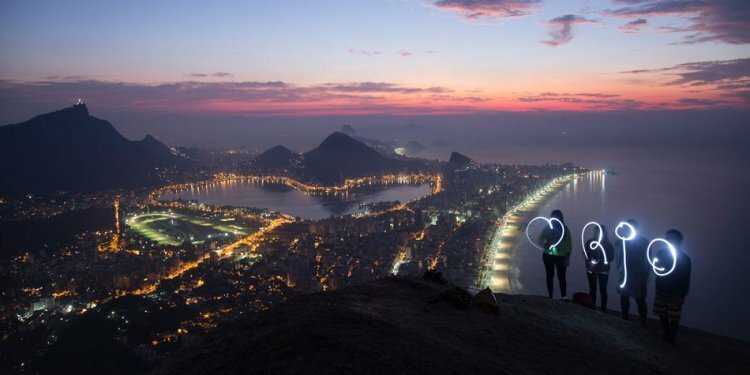 It’s the fastest and cheapest way to see Rio, and you get to meet people too! In Rio, staying in the Santa Teresa district is more bohemian and quirky than the Copacabana beach option and has nice restaurants such as Espirito Santa, with its Amazonian dishes. Do something unusual such as climb the Escadaria Selarón, a flight of colourfully tiled steps, go on Marcelo Armstrong’s favela tour, or take the ferry across to Niterói for the Museu de Arte Contemporânea (MAC), housed in Oscar Niemeyer’s stunning futuristic building. Escape the city to the mountain retreat of Petrópolis, then dance the night away at Santo Scenarium, a fantastic live music experience. Morro de São Paulo, on the island of Tinharé, is a car-free idyll about 1½ hours from Salvador by speedboat. Tractors are the only motorised transport, and luggage is ferried to your lodging by porters with plastic wheelbarrows. By day you can explore the four main beaches on the island, go snorkelling, watch the dolphins playing in the waves, or visit the nearby “rejuvenating” mud baths. Get a boat to the fresh-fish restaurants, through mangroves, and stop for a bite to eat at the mid-river oyster rafts. Before sunset, find a bar with a view, and watch the sun go down to the sound of Ravel’s Bolero, while sipping drinks and munching on cheese balls with home-made chutney. Then wander through the night market, sampling a caipifruta cocktail (cachaça and fresh fruit) to the sounds of a forró band, and dine on the local specialty of fish with lemon sauce. Once a rich colonial town, Paraty was bypassed by an imperial era railway and left to decay slowly until the 1970s. Now it glistens white and visitors meander around its cobbled, traffic-free streets. The menace of Rio de Janeiro, only a couple of hours to the north, is easily forgotten. There are little restaurants with large plates of fabulous food, and gorgeous pousadas with rooms set around tropical patios. At the quayside there is a line of yachts and, for only a few reais per hour, you can hire one (skipper included) and sail out to the island-studded bay of Ilha Grande, find an uninhabited islet where you can moor and admire the astounding rainforest as it falls down from the mountains to meet the ocean at the long white beach of Paraty-Mirim. There is one destination one cannot miss if holidaying in this vast country – the Pantanal. Fly from Rio de Janeiro to Cuiabà and spend a few days spotting jaguars on the Paraguay river as well as the rare tapir. Look out for giant otters, in addition to other Pantanal favourites such as capybara, caiman, the rare hyacinth macaw, toco toucans, marsh deer and a plethora of other wildlife and birds. Journey onwards to Campo Grande and experience a real ranch with gauchos. I can highly recommend Jaguar Ecological Reserve and Fazenda Baia Grande. I travelled there in 2009 with my nine-year-old son. It was an amazing experience. In Rio, there are always long queues outside Rio Scenarium but there are plenty of other bars nearby for people-watching and enjoying a drink. Try one of the fruit-based caipirinhas; Persian Lime has a gently spiced flavour. Across town, Trapiche Gamboa is an authentic samba bar with fewer tourists. Phone ahead to book a table; the music, service and food are great. Try the filet aperitivo, steak strips with dip. Sharing plates of food is perfectly acceptable, as is sharing large chilled bottles of beer using small glasses – which keeps it cold! The coastal resort of Arraial do Cabo is a little closer to Rio by coach than Búzios and more of a “no news, no shoes” place. Boat trips from the harbour are good value; ask if the last beach is Praia do Forno – then leave the boat there and relax, taking the footpath back to Arraial. Head for the Pantanal wetlands in Mato Grosso state. At Caiman Lodge, enjoy horseback riding, canoeing, native treks and jeep safaris to see the prolific wildlife. Cross the “bone shaker” bridge over the river and watch for the yellow eyes of the caimans glinting in the darkness. Next stop Salvador, pulsing with the rhythmic beat of Brazil. Refresh at the Sofitel, then hop on a plane to Lençois, and rest at tranquil Pousada Canto das Aquas. From there, head to the Gruta Azul caves, where, if you catch a rain storm, you can shelter inside with the biggest frogs you will ever see. And in Chapada Diamantina, the glorious national park, take a fairly easy climb to the top of Pai Inácio Mountain for a spectacular sunset. A highlight of our trip to Brazil was Iguazu Falls. We stayed at Hotel Das Cataratas, which is the only hotel in the national park. From the hotel we walked the path to the Brazil side of the falls before it opened at 9am and viewed them without any crowds. We hired a guide to take us to the Argentine side of the falls, which are even more spectacular. We also visited Salvador and stayed in the Pelourinho district. We visited the church and convent of Saint Francis Salvador, which is the finest church in Brazil with carvings completely covered in gold leaf, giving the impression of a golden church. It took our breath away when we viewed it. As a total contrast to Rio, take a day trip by taxi to the refreshing mountain retreat of Petrópolis and imagine yourself back in 19th-century Europe. It sounds like a fairytale town and in many ways it is. Petrópolis became a sanctuary for the Portuguese royal family escaping Napoleon. After Napoleon’s defeat, Dom João just didn’t want to go home, so he stayed on to rule both Brazil and Portugal and, during this time, freed Brazil’s remaining slaves. This beautiful old town with its parks, canals, churches and attractive European-style palaces and houses can be explored on foot or by horse and carriage. The main attraction is Dom João’s beautifully preserved palace. Its museum features the imperial crown.